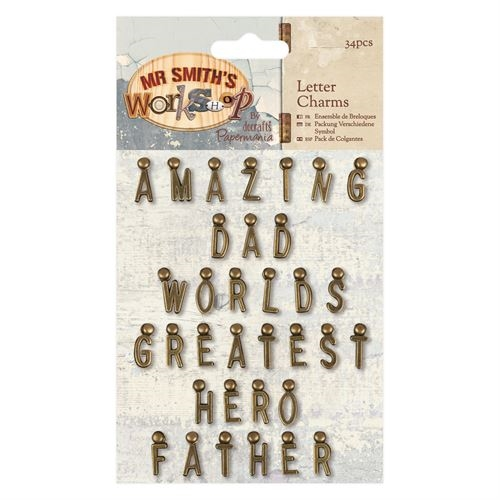 Brand new from Docrafts Papermania, Mr Smith's Workshop is bursting with a diverse range of textures and surface patterns; and is designed with the "DIY man" in mind. These rustic "brad-style" charms make up 5 sentiments, ideal for adding a finishing touch to any craft project. 34pcs included.